A reverse mortgage is a type of home equity loan for homeowners who are 62 years of age or older. With a reverse mortgage, borrowers are not required to make monthly mortgage payments and who want to access a portion of their home equity without having to make payments while living in the house. Reverse mortgages are insured by the Federal Housing Administration (FHA). Reverse mortgages can be used to convert a free and clear home and access funds calculated based on the equity of their home, or for purchase loans for borrowers who can put the down payment for them home, but don’t want to make monthly mortgage payments. It is also used by homeowners who have existing mortgages who want to pay off their existing loans and eliminate monthly mortgage payments. A reverse mortgage loan uses a home’s equity as collateral. The amount of money the borrower can receive is determined by the age of the youngest borrower, interest rates and the lesser of the home’s appraised value, sale price and the maximum lending limit. The funds available to you may be restricted for the first 12 months after loan closing, due to HECM requirements. In addition, you may need to set aside additional funds from loan proceeds to pay for taxes and insurance based on ability to payback liabilities and credit history.  To be eligible for a reverse mortgage loan, the FHA requires the youngest borrower on title to be 62 years or older. Borrowers must also meet financial eligibility criteria as established by HUD. If there is an existing mortgage on the home, it must be paid off with the proceeds from the reverse mortgage loan. The home being financed must meet FHA minimum property standards. Borrowers may access the greater of 60 percent of the principal limit amount or all mandatory obligations, as defined by the HECM requirements, plus an additional 10% during the first 12 months after loan closing. The combined total of mandatory obligations plus 10% cannot exceed the principal limit amount established at loan closing. The borrower may also need to set aside additional funds from the loan proceeds to pay for taxes and insurance. If you are interested in a Reverse Mortgage, call use today. We work with one of the nation’s top producing Reverse Mortgage lenders and have closed over 100 reverse mortgage loans in the past two years.